With more than 1,000 hours of community service and volunteer work Katimavik is a dream to both build your résumé and get the experience you need. You spend time in three provinces for two and a half months each. While there, you work between 35-40 hours a week at a non-profit group, doing valuable and necessary work for an organization that really needs it. From database design to designing layouts for the Arctic Winter Games venues to painting the walls of a recreation centre, my jobs were varied and rewarding each in their own way. I learned organization and communication skills, as well as gaining experience working in a team environment. The experience gave me the confidence I needed after the program to apply to jobs that I would have been unqualified for the previous summer. Each trimester you begin a new job. You are interviewed by the community work partner and group Project Leader for a position that can work well for you, with anywhere from one to 11 different job possibilities. The jobs are dynamic; you learn to be flexible and help others. You also establish learning objectives for each trimester, based on your previous experience and what you want to learn next. This isn’t like school or work. You choose what you want to learn and in what areas you want growth, and then you do it. In your spare time you can even learn a new language, or learn currency trading online. You become responsible for yourself and the other team members, as you take your share of house duties such as cooking and cleaning. 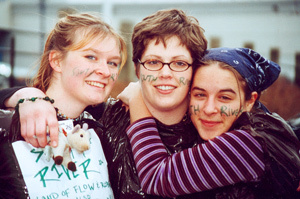 Katimavik helped prepare me for living on my own and with roommates. From baking bread to planning the meals for a week and buying the food, Katimavik gets you ready for life. Some of the many skills you’ll acquire through Katimavik include planning your group’s time for seven months and learning to reach consensus on decisions involving everyone in the group. By spending seven months in such a positive and intensive atmosphere, your intuitive and learned skills blossom. Katimavik has a leadership component, which focuses on employability skills recognized by the Conference Board of Canada, from teamwork to conflict resolution and work ethics to communication skills. Katimavik allows you an opportunity to go to a place where there are no preconceived notions about you, where you can experience new opportunities in an environment different from your home community. It is a chance to stretch yourself outside of your old boundaries and step into new territory with a team of people who support you because you are being yourself. This happened to my group and myself. Dare yourself, accept this challenge, a chance to escape the ordinary, to explore new paths in your life and to do something that will enhance your life. 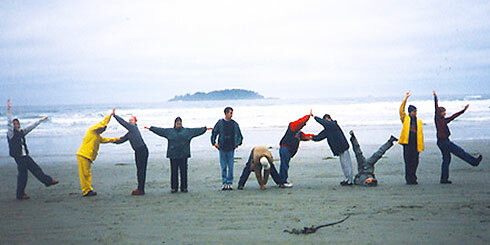 Paul was a 1999-2000 Katimavik participant and worked as a Katimavik Project Leader in Houston, British Columbia during the 2001-2002 program. He currently lives in Kitchener, Ontario.